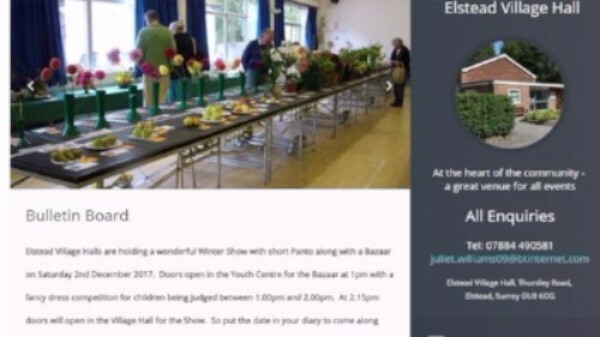 Elstead Cinema is a village cinema which shows popular films, usually on the second Friday of each month, in Elstead Village Hall, at 7:30pm. The cinema uses digital technology to produce a bright wide image and clear sound, with headsets and a hearing loop also available. There is full level access for the less able. Tickets are £5 each and can be purchased from Chandler's Garage, The Green, Elstead or on the door, or by clicking here. Our season runs from September to May and showings include a 20 minute interval with refreshments available, including icecreams and a reasonably priced bar, whilst the screen carries a rolling programme of local news and events.